It is a black powder derived from charcoal and coconut shell, it works instantly against tasks and accentuates the whiteness of your teeth. 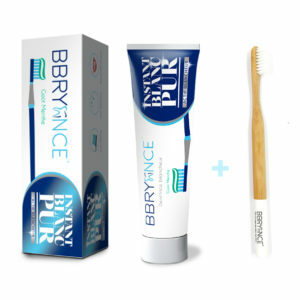 After use you will feel a smoothing effect on your teeth. You can use it every day before you brush your teeth. Caution it is advisable to use it in the evening, because a slight black color can remain at the base of your teeth, but not worry, the next morning after your brushing there will not remain any color. A visible result after 1 to 2 weeks of use.